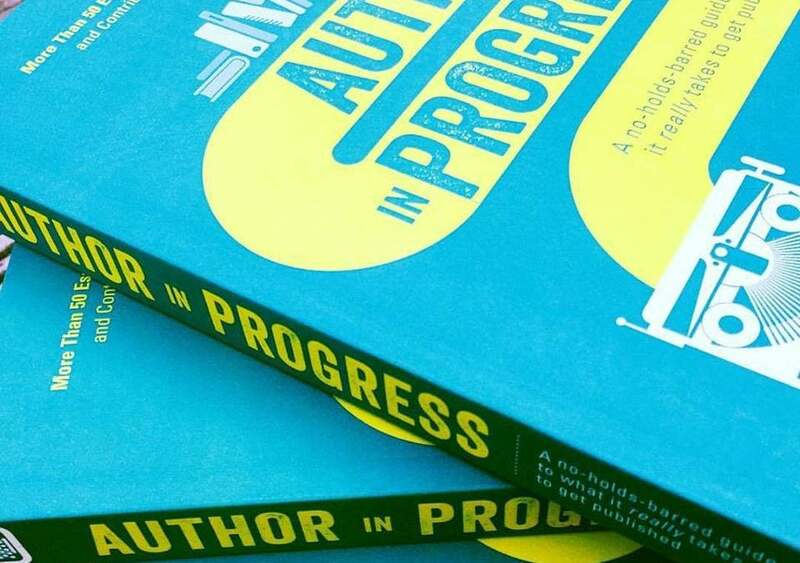 Are You an Author in Progress? Listen Up! If you’ve ever wondered what it takes to get published, here’s your one-book answer: Author in Progress. This was a huge project involving all Writer Unboxed contributors—over 50 in total, including a few guests. I acted as the mad one editor: conceptualizing the book, assigning topics, working with 50+ contributors to massage content when necessary, and liaising with Writer’s Digest throughout. The experience, which has taken over a year, was gratifying on many levels. Not only because the book feels like a love letter of sorts to writerunboxed.com, which has helped to define my life, and not only because it enabled me to work with people I respect tremendously, but because I believe in this book’s message. 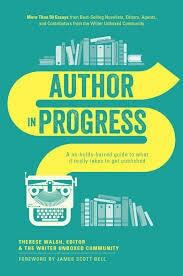 Author in Progress offers a deeply authentic dive into the life and work of a professional author in progress. It’s my hope that it helps aspiring authors to persevere, to reach that next level and the next, and to always write on. Here, some Tall Poppy Writers offer a peek inside chapters they contributed. I firmly believe that writing is in the rewriting. Earlier in my career, I struggled with my first drafts, always disappointed in how little they resembled the flowing, compelling, fascinating concepts in my head. I thought it was just me—that if I were really a strong writer, I’d be able to get it right on the first try. Lo these many years later, I have never gotten it right on the first try. There are those who do. Some writers follow outlines beautifully, and have a perfect connection between the idea and the reality. For writers like me, who may be talented and skilled but just don’t have that get-it-right-the-first-time gene, I wanted to say it’s okay. Not just okay. Great. When you’re putting that first draft down on the page, there are going to be countless disconnects between your head and your hands. Explore them. Embrace them. Figure out the ways in which that first draft, full of mistakes and false starts and unexpected serendipity, has something to teach you for the next draft, and the next, and the next. After all, the only book most of your readers will see isn’t the one you start with. It’s the one you end up with. After stumbling down that road myself many times, I wanted to share some signposts about how you might get from here to there. My chapter shines a light on the importance of receiving critique. The bottom line here is that you may have the best, most insightful critique partners available, but unless you’re truly open to hearing what they have to say – and unless you make them very comfortable with your own receipt of critique – it may be wasted. This essay is meant to put you in the right headspace to genuinely crave criticism. “Is that even possible?” you may ask. Not only is it possible, it may make the difference in your book’s ultimate success. Hopefully all writers understand that we must read: to emulate craft, to be inspired, to support the industry that we hope will one day support us. It behooves us to read both within and outside of our chosen genre, for reasons explained in my chapter. But I also have a long-standing belief that authors tend to give short shrift to the fact that the literary arts fit within a much larger tradition of expression. Coming as I do from a family in which “the arts” encompass dance, music, acting, painting, sculpture, architecture, martial, industrial design, and handicrafts, I have learned much from masters in these additional art forms. Pairing them with your reading can infuse you with fresh blood and will help you uncover your authentic contribution to the literary arts. As you can see by its title, my chapter is all about learning how to lean into our strengths and go deeper, push harder, pull out what’s good and shine a light on it. As a freelance editor it made sense to share my tricks of the trade with other writers struggling through the lengthy and challenging editorial process. But really, talking about editing goes beyond my piece in this wonderful craft book. Pondering over revisions defines me as a writer as well. The drafting process is arduous and filled with self-loathing for me, but editing is joyous and laced with hope. To see your manuscript shape beneath your hands, and to make these connections and see bits and pieces form into something beautiful of which you’re proud, is exciting, inspiring, and rewarding. This is what happens to me in the revisions process and I hope it will be the same for the readers of my chapter. AUTHOR IN PROGRESS releases today! Order your copy from your favorite book retailer or read more about it at Writer’s Digest Books. A full list of contributors can be found at Writer Unboxed.